Kristen's Creations: Yay!!! The New Appliances Are Finally In!!! Come And See! Awesome!! Everything looks great. And I am coveting that rooster arrangement on your island! Love it! Oohh...all new appliances all at the same time!! That is exciting! Enjoy them! 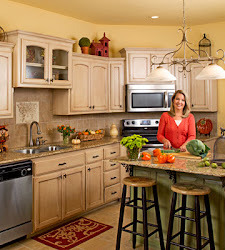 Kristen, your kitchen is just gorgeous! You must be so proud. 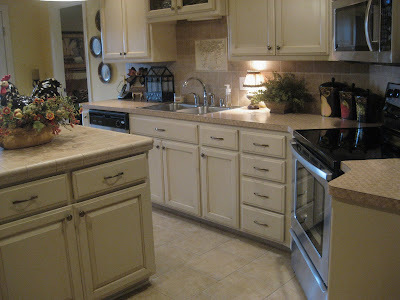 I want my cabinets painted white..but I'm afraid I have a long wait as my husband is dead set on keeping them dark oak. Very pretty but no windows in the kitchen and it is always very dark. 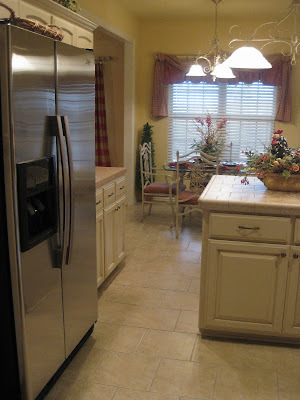 Your kitchen looks so light and bright and sparkling! Just lovely! Your appliances were a great choice.. Very fresh and pretty Kristen! 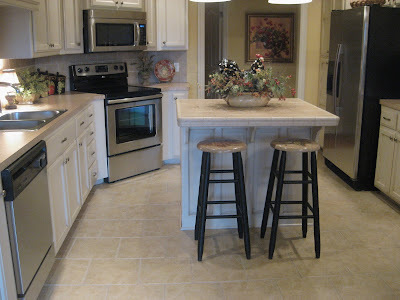 It really updated your entire look and feel of the kitchen. They look awesome! 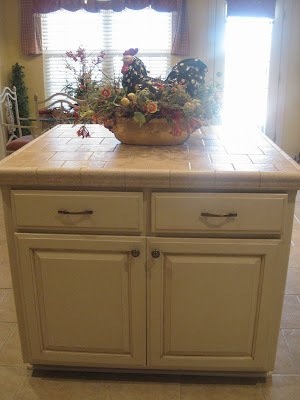 I think I would add black scroll hardware and maybe paint or glaze the island a dark color like black or green. 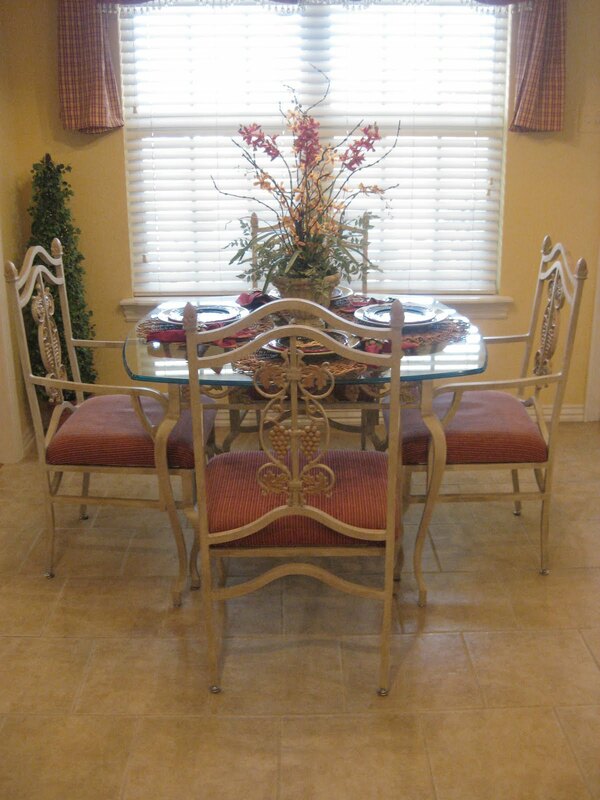 Adding a colorful rug to the dinette area would look fabulous as well. You have such remarkable talent. I know it will all be so beautiful in the end. 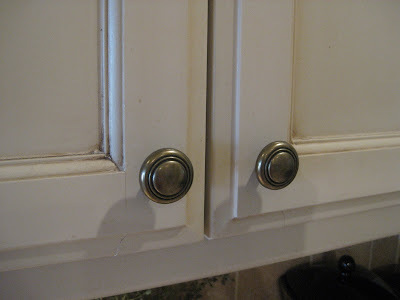 Show us the process of how you do your cabinet glazing. I'm really curious to see that. One more idea...since you said green for the island have you thought about painting your walls green? That would really give some contrast and changes to the entire kitchen. It would probably be easy to do as well. That looks wonderful Kristen. I'm so jealous! We need to do the same thing. We've been in our house 11 years so I know the time is coming. I am so happy you got new appliances. They look great! I think your kitchen table would look great painted - I have painted the same kitchen table like 3 times because every time I get ready for a new one, something else needs my attention! So, paint is a great band-aid! Also, regarding the island...I say go for it - it would look really great! And, I did ORB hardware here in our new kitchen - Hob Lob also has great hardware. Whatever you do, I know it will look great! I love the new appliances! Everything looks terrific. I do like the idea of painting the island, I think it will look fabulous. I painted my iron kitchen table a few years ago. It went from silver to a oil rubbed bronze color. It fits our style better. I say go for it! The ceiling medallions would be pretty, too. I like all of your ideas. enjoy cooking on your shiny new stove! YIPPEE! It looks gorgeous! Soooooo fresh and updated! You must be thrilled! Sooooo worth it! 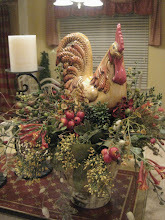 I am loving all of the ideas you have for freshening things up! 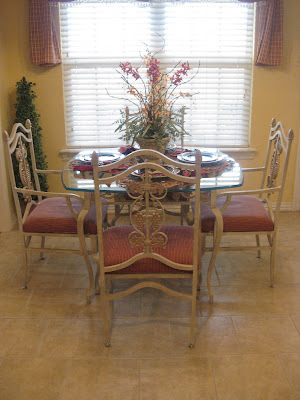 Your table and chairs would look gorgeous painted black...like the one in my friend's house! DO IT;)! I also think the chandy would look great painted black too! Don't you love that I am filled with suggestions of WORK for you...so sweet of me;)! I am still talking about painting my island too...I wonder if I will ever really do it...maybe if you do yours I will get inspired! I can't wait to see what all you end up doing...I KNOW IT WILL BE GORGEOUS! Everything you do turns out beautifully! Hope you are planning a trip here soon! Take care and have a wonderful Sunday! Kristen, it all looks fabulous! I think it really lightens the kitchen area too. Appliances are so expensive now...I'm sure you are beyond thrilled with these. 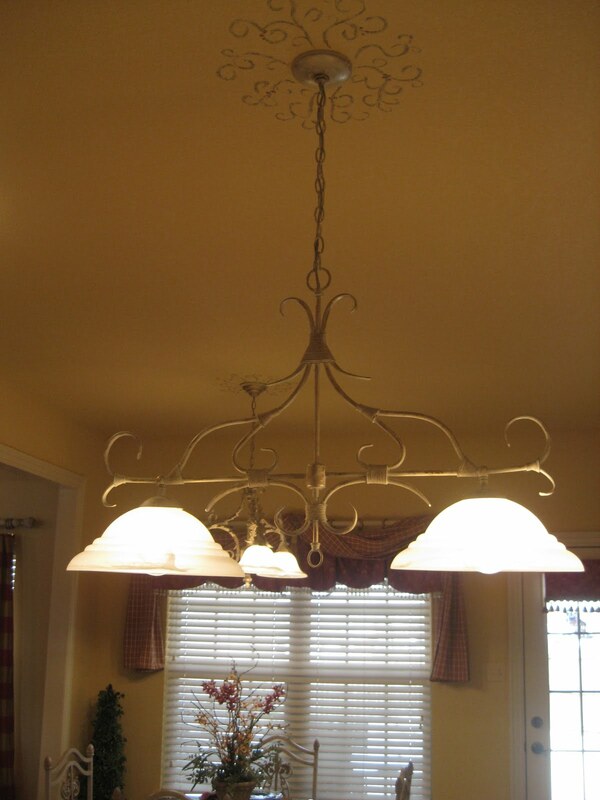 By all means, paint the island and the furniture...light fixture, all of it! :-) My daughter painted the island in their kitchen red and it just pops. Painting yours black would be great I think. I look forward to seeing the new items in your shop as well as the giveaway! Keep us posted on the additional changes in your kitchen/eating area that you decide to do. wow- it looks terrific Kristen.. I know you are over the moon with all that beauty in your kitchen. Your ideas about the rest of the redo sound fabulous too.. cant wait to see~!! Kristen, they look beautiful! 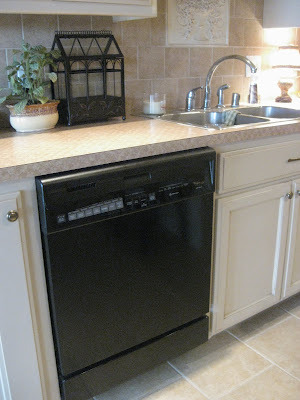 I just love how new appliances can make you feel like you have a whole new kitchen! I am sure whatever you do next in there will only add to it...you have great taste! 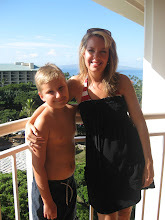 I had to delete my blog, because of a sweet hacker friend, oh well..I plan to still read and comment! It's always fun to see what you do! Have a great week! The new appliances look great! 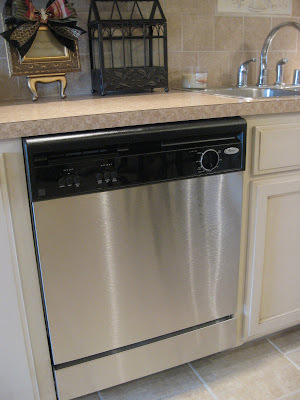 I bet you love having a dishwasher that works now too. Everything looks wonderful. Love the new appliances. All new stainless. I just don't understand it. I think the black looks so much better. 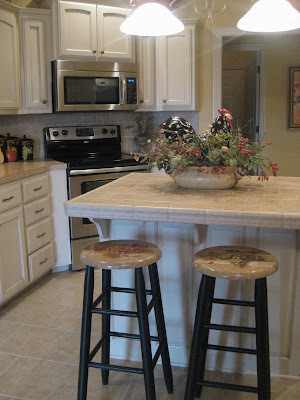 Now I would change the countertops and of course the "in" thing is the granite countertops and all the other "fad" stuff. How about laminate flooring? Your kitchen looks awesome!! Even though it looked great before, I know you have been wanting new appliances and I am so happy for you! I am also glad that you're inspired because we all learn new and exciting things when you get more and more creative! Keep up the good work! Isn't it amazing what new appliances do for a kitchen? I love your idea about painting the island green. I will check back later to see what all you have done. You have so many good ideas. This is my first visit to your blog. I came via BNOTP. Your appliances are gorgeous in your kitchen. How exciting to get all new things. It does update things when you get all new and matching items. 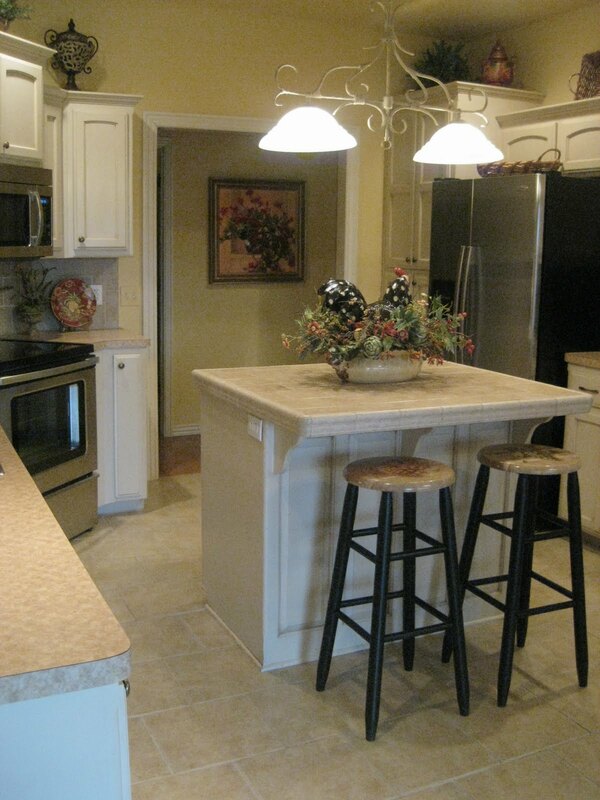 Can't wait to see what you do next in the kitchen and eating area. Your kitchen looks wonderful! I know you must be very excited to have all new appliances..... FUN! 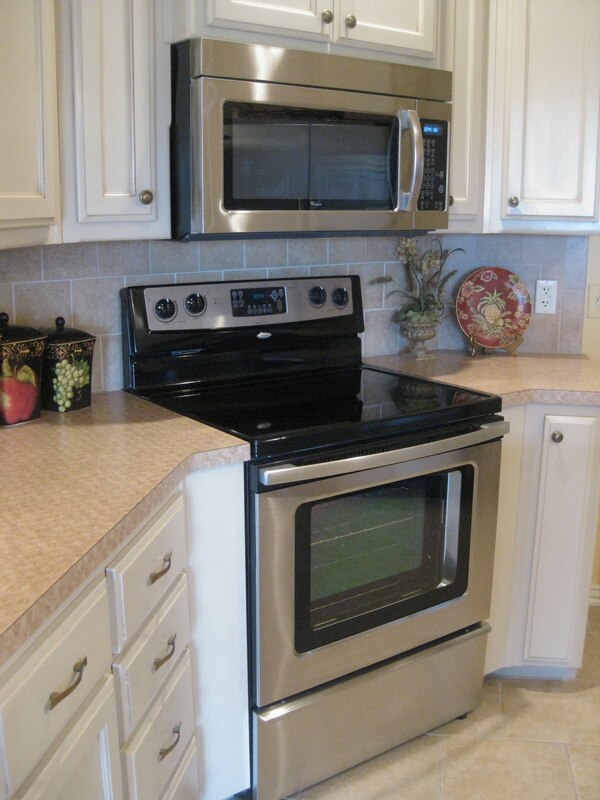 The new appliances look great in your kitchen! We just got new appliances as well. Just came across your blog and I'm a new follower. I always love sharing your site with my readers! Here's a shout out for being part of my Feature Friday! Have a great weekend! Microwave repairs are easy. Multi-meter resolution of this equipment and you can make your own repairs microwave oven. Even if you call a microwave oven, this device does not produce heat - but the development of a microwave oven is 2400 MHz item in the microwave is absorbed by these waves vibrate molecules in foodstuffs, and it begins to vibrate in a - + 2300000000 times a second. Before buying an appliance used, it is important to verify the extent of use and confirm that it is capable. 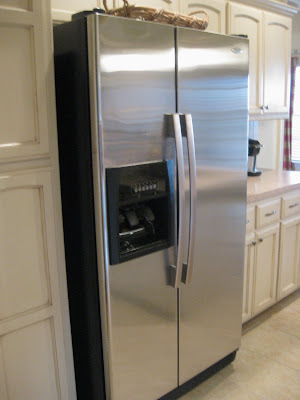 It is always advisable to get a used appliance checked by a technician before you buy. 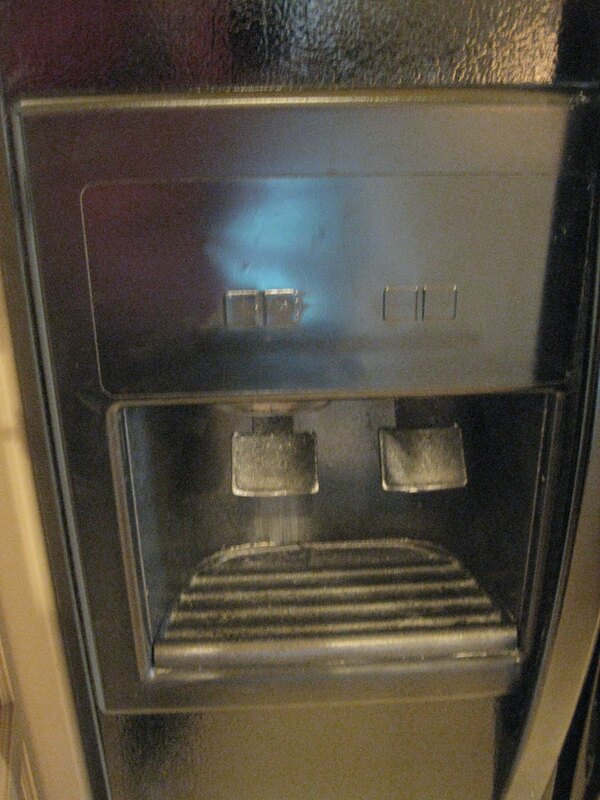 Some people prefer to have used off appliances when not getting a good supply of buyers. In such situations, discarded appliances to be transported to a particular factory, where old equipment is divided into parts and discarded. This is usually done in compliance with environmental laws. Burning, decontamination or disposal can have hazardous or toxic components. 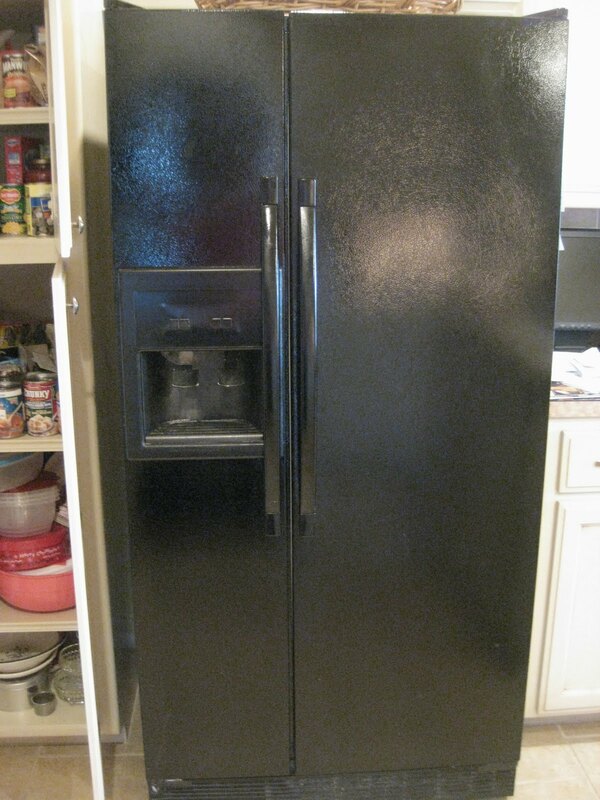 Parts that are sure to be used to collect used appliances and placed on the market. I love the new appliances!! I agree, it does update the kitchen a lot. Enjoy all of the painting. :) Sounds like a project to me!! Loving the new appliances... 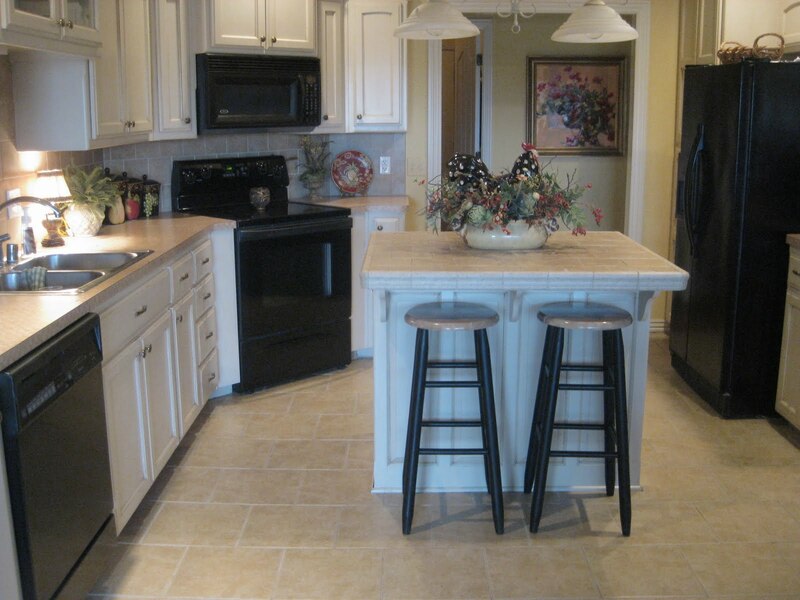 I also think the kitchen set and medallion dark paint/contrast idea is WONDERFUL.. I love this rug from Ballard Design: http://www.ballarddesigns.com/french-bistro-comfort-mat/15008?defattrib=&defattribvalue=&listIndex=0 Best of luck with the rest!